BRISTOL SHOW 2010: Book your own demo in the Rega room | What Hi-Fi? The British hi-fi specialist will have two rooms: a conventional demo room, and a turntable clinic (rooms 418 and 420). 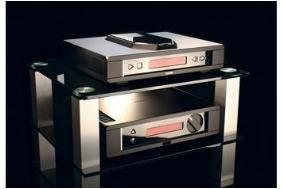 But here's the twist: visitors to the demo room, which will contain the new flagship Rega Isis CD player and Osiris amplifier, will be able to book the room in advance to listen to their own CDs for up to 30 minutes without interruption. "To ensure as many visitors as possible get the full experience of these amazing products, we think it is essential that they listen to their own music to get a true representation and feel for the products and their performance," says Rega. Demand is likely to be high, so to be sure of getting your 30-minute slot, contact bookings@rega.co.uk to reserve a place. Remember to bring a selection of your own CDs! And if your Rega turntable is in need of a service, you can also pre-book it into Rega's special turntable clinic. There are 30 service slots available each day, and while your turntable gets sorted you'll be able to enjoy the rest of the show, picking up your freshly-minted deck at the end of the day. All turntables will be serviced for free by trained Rega staff with any upgrades or parts receiving a special show discount. Again, email Rega to pre-book your slot. For more info on the Bristol Show 2010, see our special blog.